Gray101 SUPER trollo FAIL Strikes Again. What is up with her? She takes people's stuff without so much as asking, proves she stalks and raffles through, then creates numerous clubs -all banned from people & fp as duplicates! 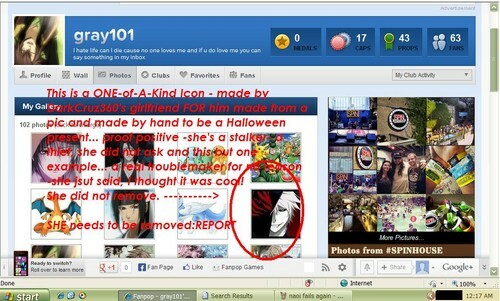 She just does not get it ou care.. HD Wallpaper and background images in the fanpop FAIL! 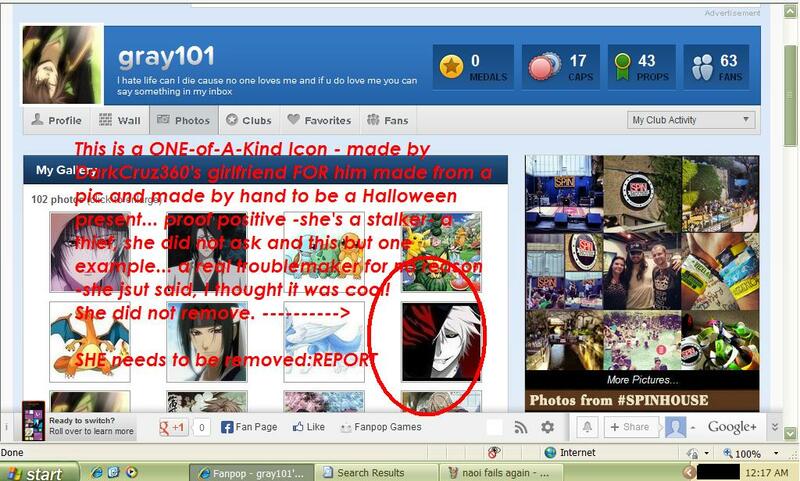 club tagged: epic stupid fail gray101 naoi. What is up with her? She takes people's stuff without so much as asking, proves she stalks and raffles through, then creates numerous clubs -all banned from people & fp as duplicates! She just does not get it ou care. The picture was taken down, I just got word, but the point is that not only was it a personal artwork present, but she does this frequently enough, not the first time anyway and so it makes you wonder why the hell it would be the LAST? STALKER. WTF - stop the troll. This has gone too far, Naoi needs to stop or he will PAY!!!! That is sad. No you cannot trust anyone. Why is she doing this? I'm sorry she did that. Is there anymore reports of her doing stuff or on here?